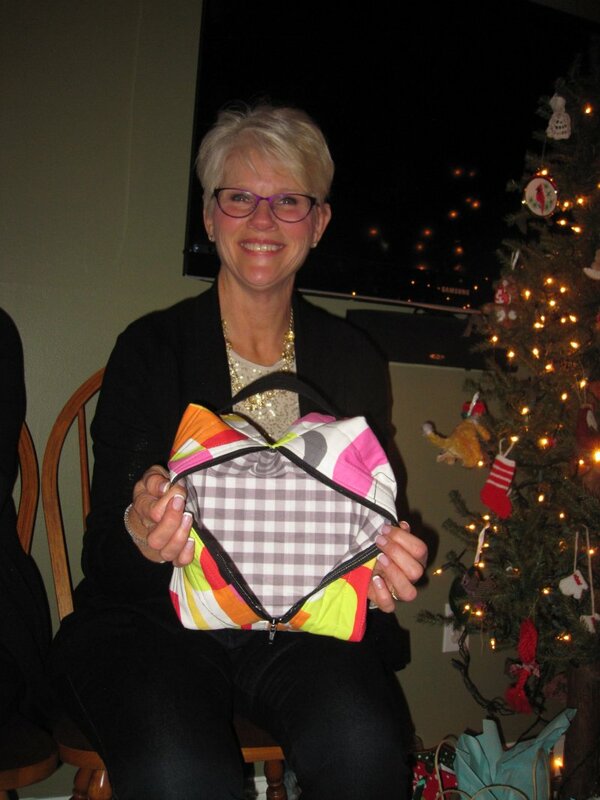 Patty started Show & Tell with this fun zipper bag. 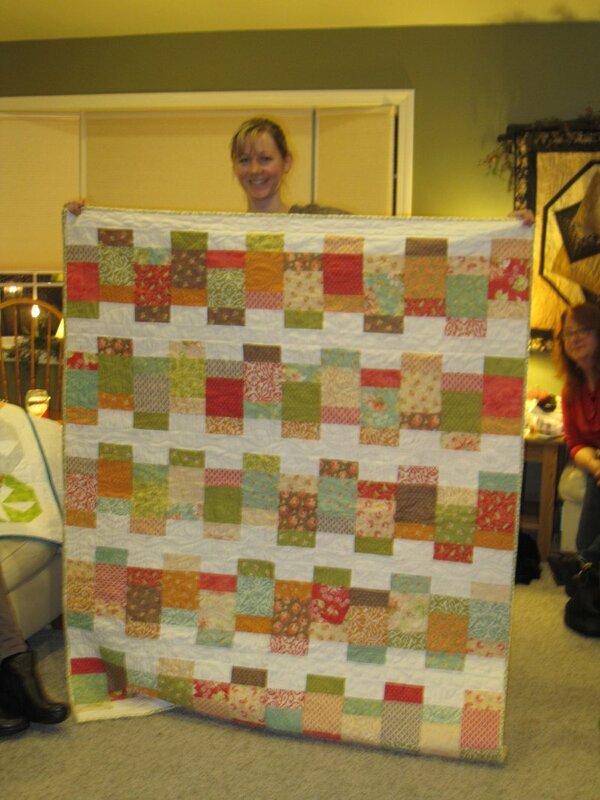 Patty also finished her beautiful quilt top from Tula Pink's 100 Modern Blocks. 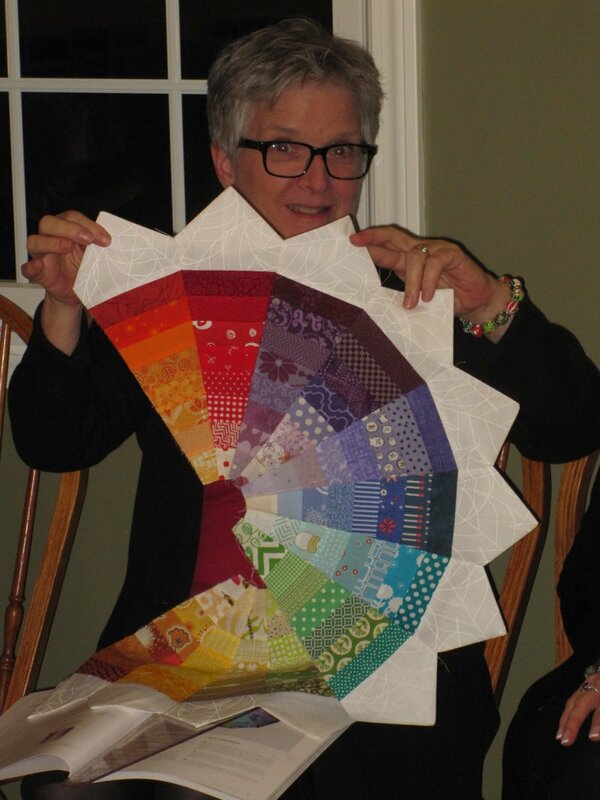 Betsy has been working on her awesome color wheel. 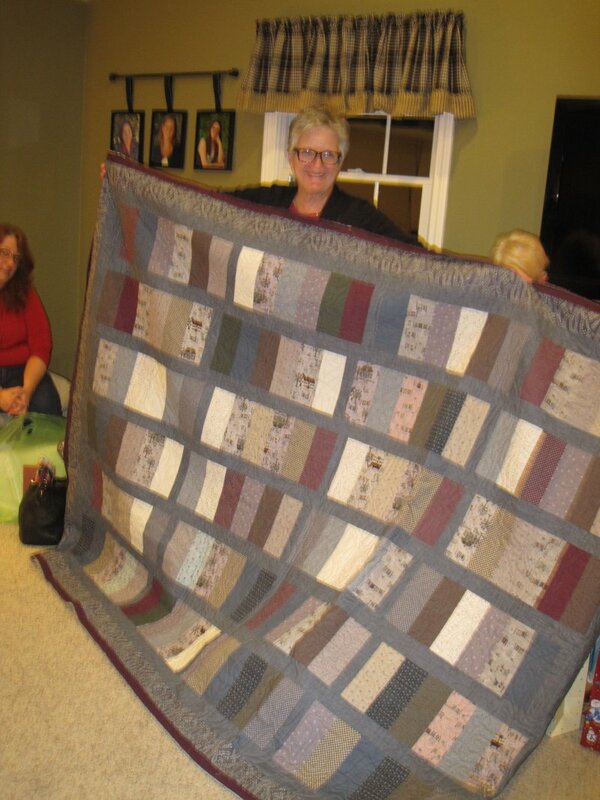 Betsy also showed this gorgeous plum and grey quilt. 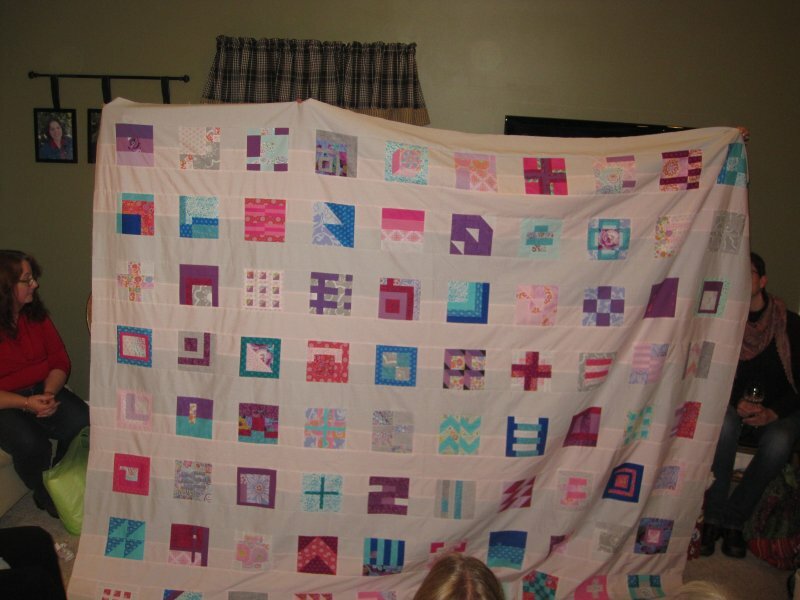 Marie shared her amazing original design quilt for the 2015 Quiltcon Michael Miller Challenge. 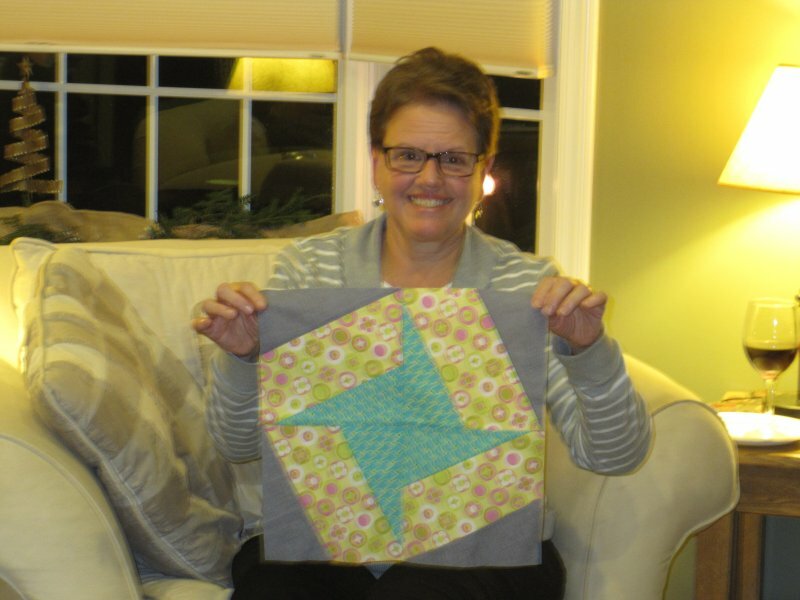 Trish shared her version of Tula Pink's 100 Modern Blocks. 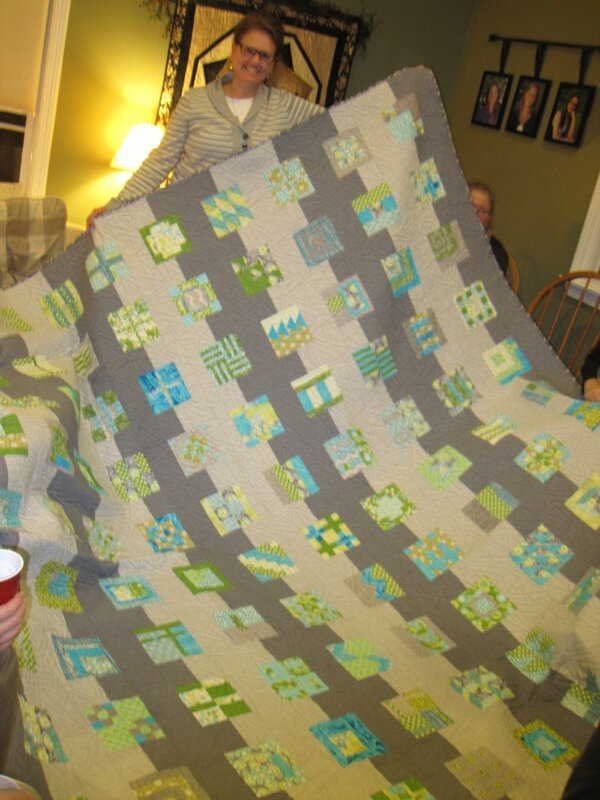 Lisa shared her Diamond Steel Quilt commissioned by her niece. 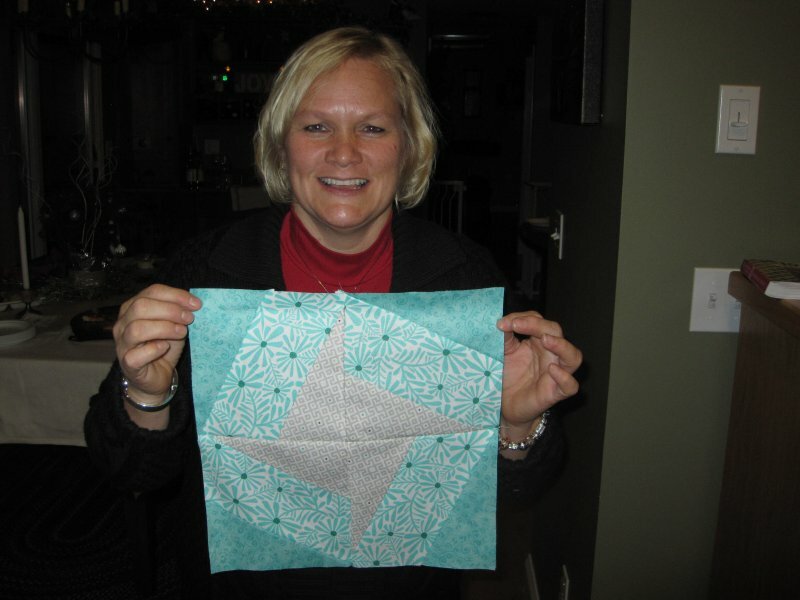 Rene made this fun version of the Mystery Pinwheel Block of the Month. 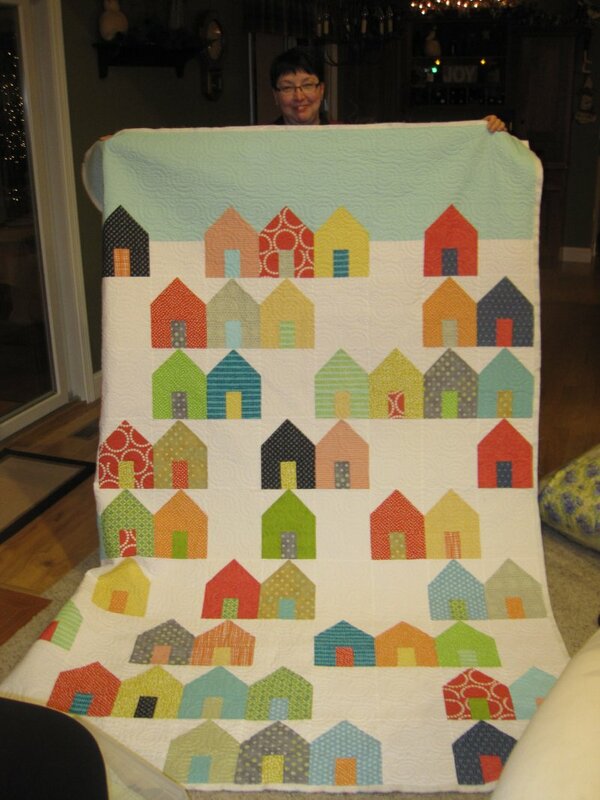 And here is Rene's awesome version of the 100 Modern Blocks quilt. 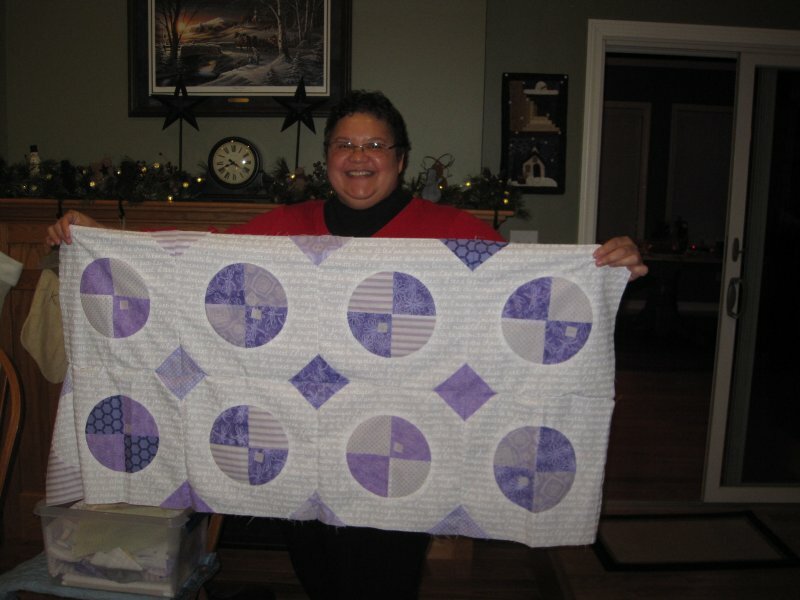 Donna made this pretty quilt with leftover pieces from her Island Fiesta quilt. 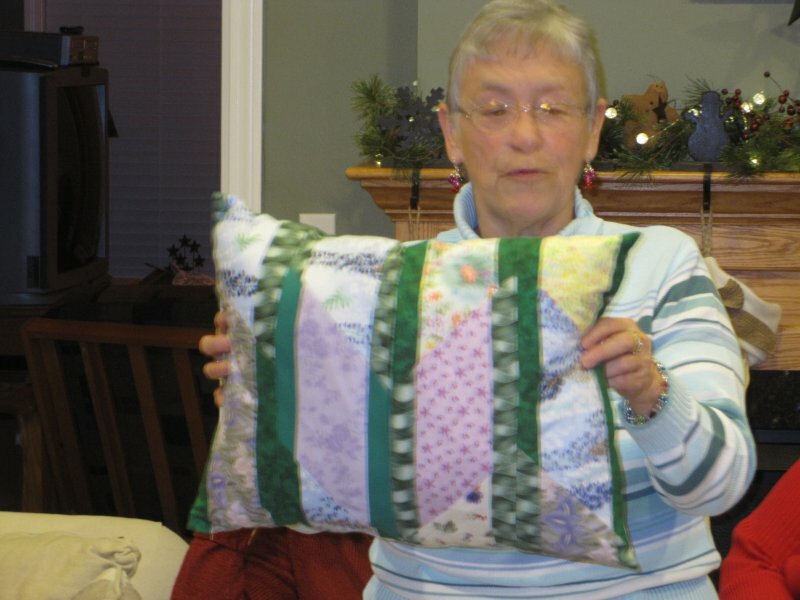 Donna made this pillow for a friend. 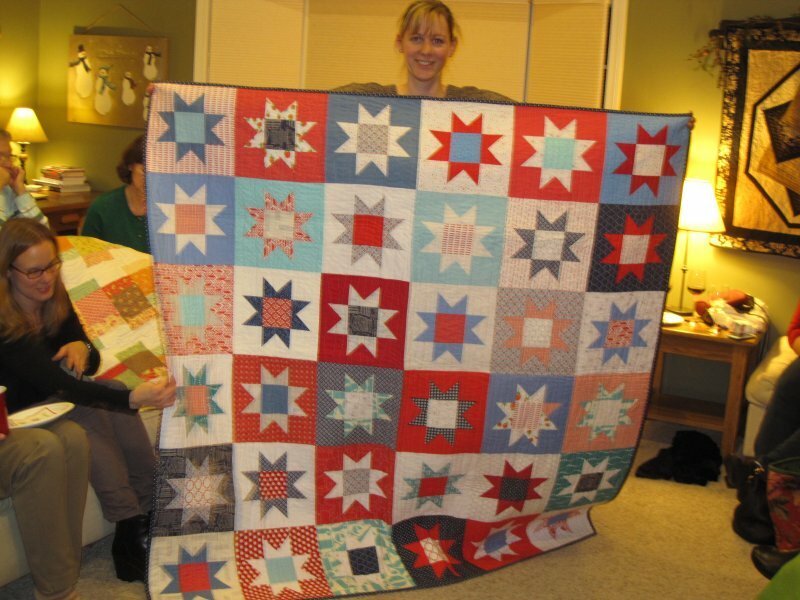 Chelsea shared her Dapper quilt. 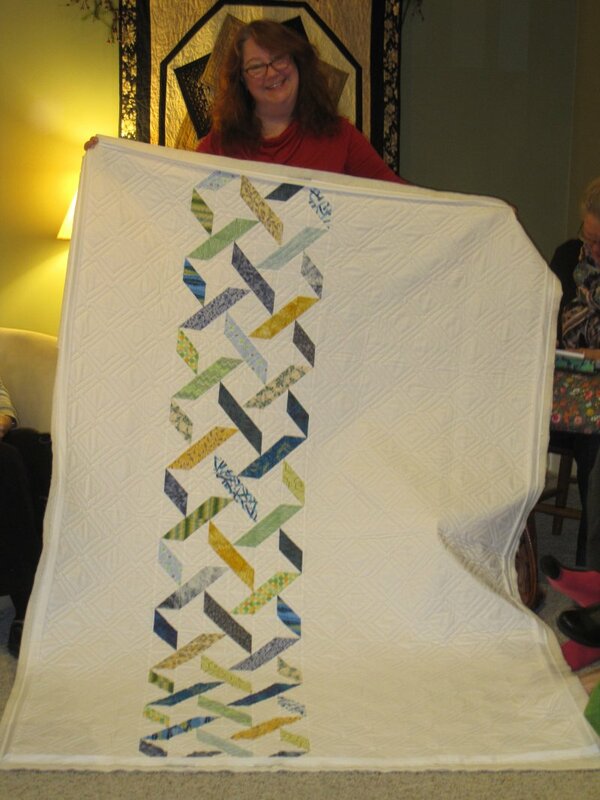 Chelsea pattern tested a quilt design for Meadow Mist Designs. 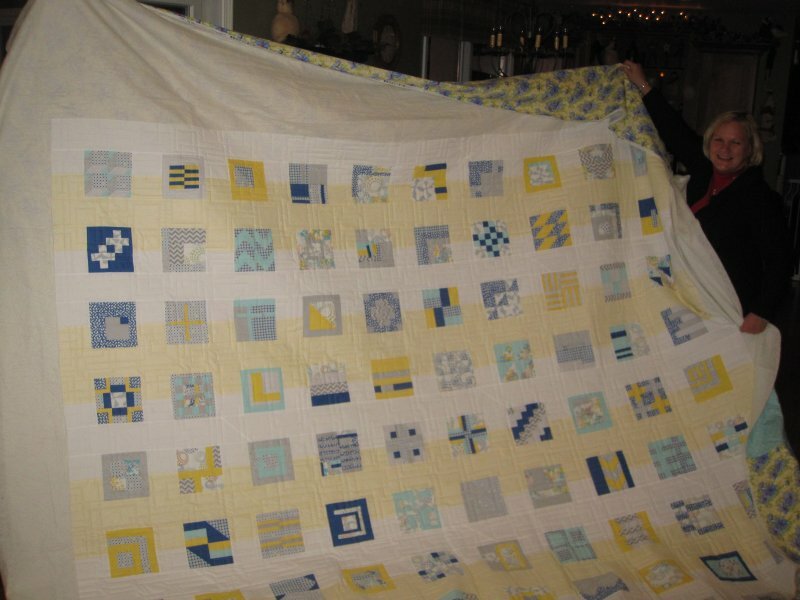 The wave quilting is awesome! 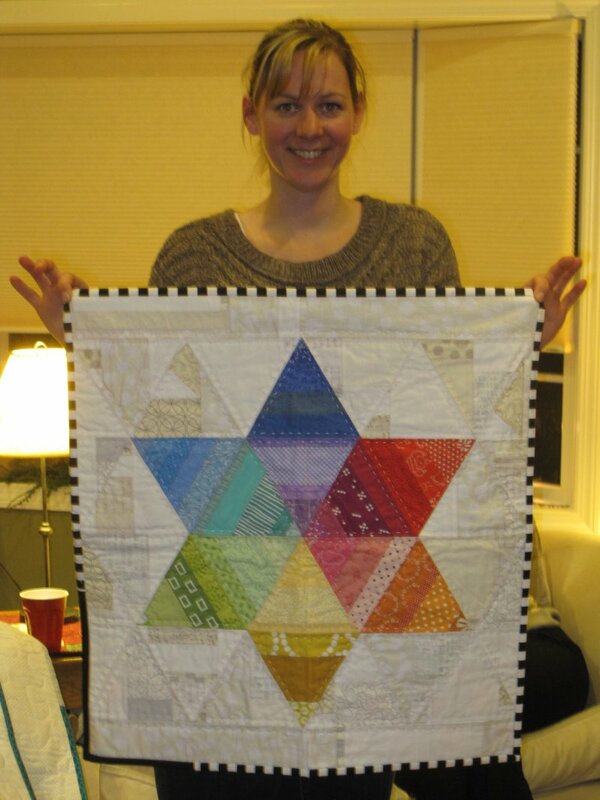 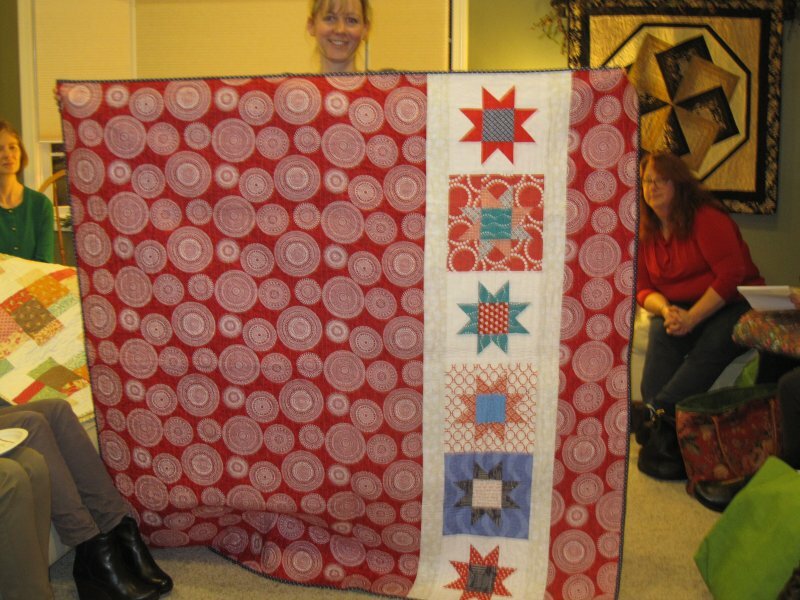 Chelsea also brought this vibrant Star quilt. 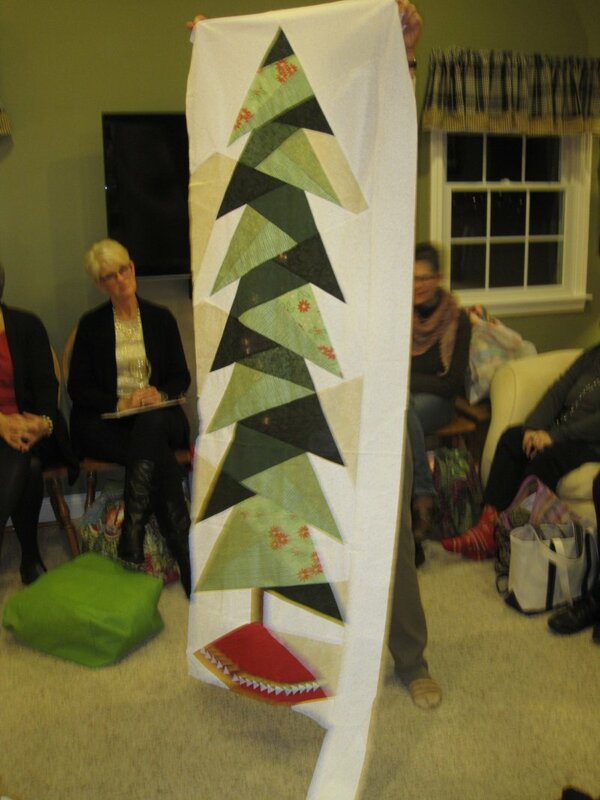 Denise made this fantastic paper pieced Tree Quilt top. 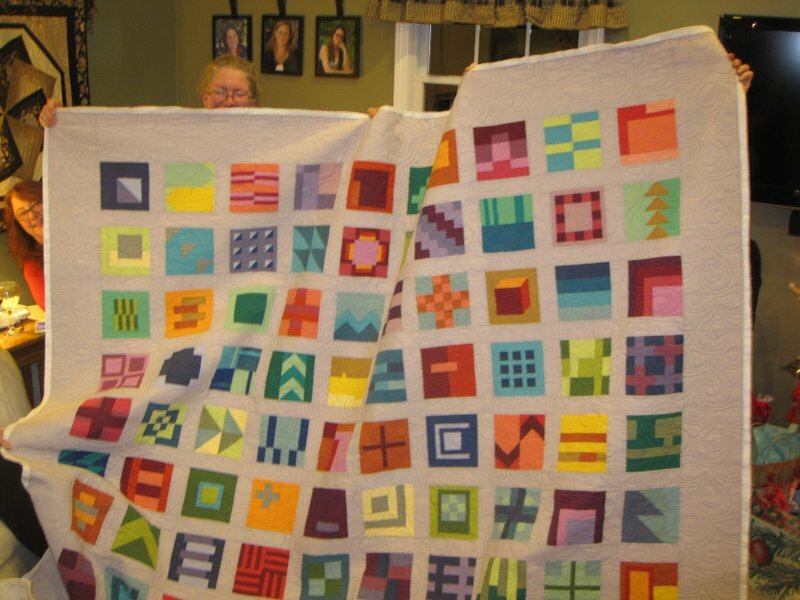 Mary Jean made this colorful house quilt. 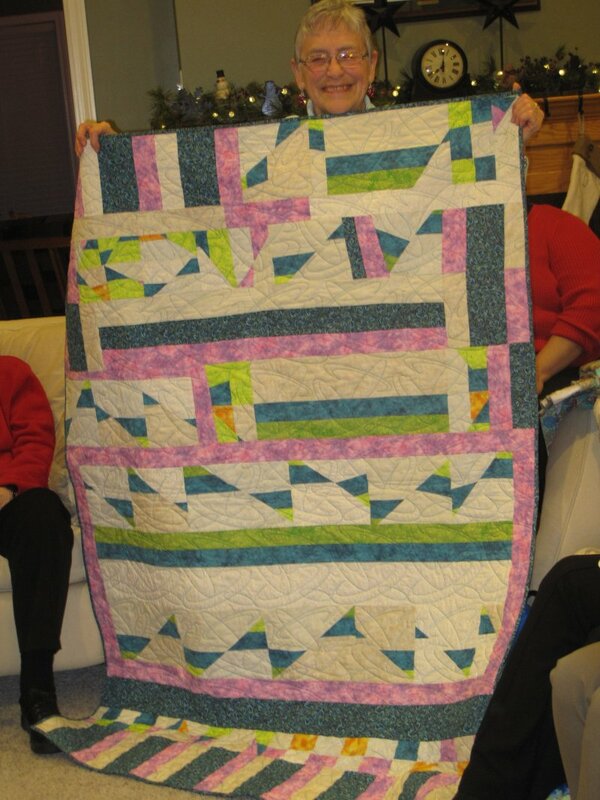 Susie's version of Tula Pink's 100 Modern Blocks. 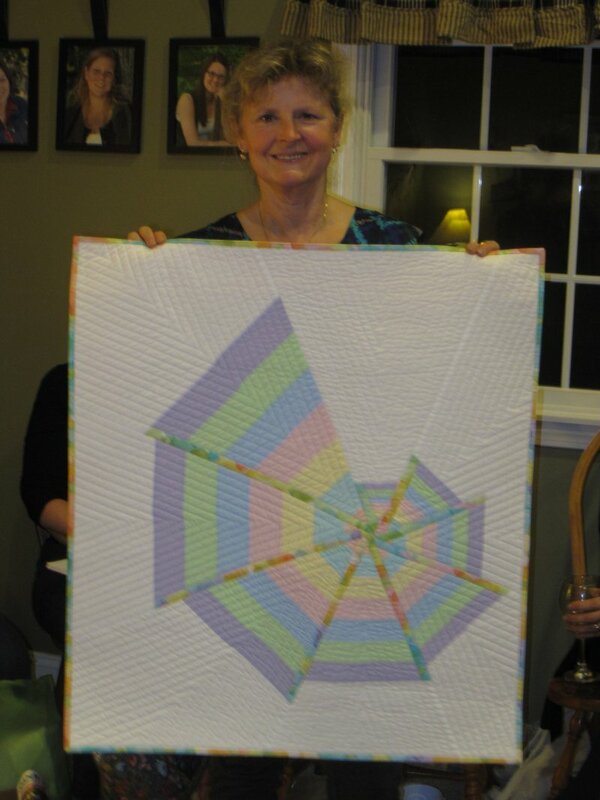 Here is Susie's Mystery Pinwheel BOM. 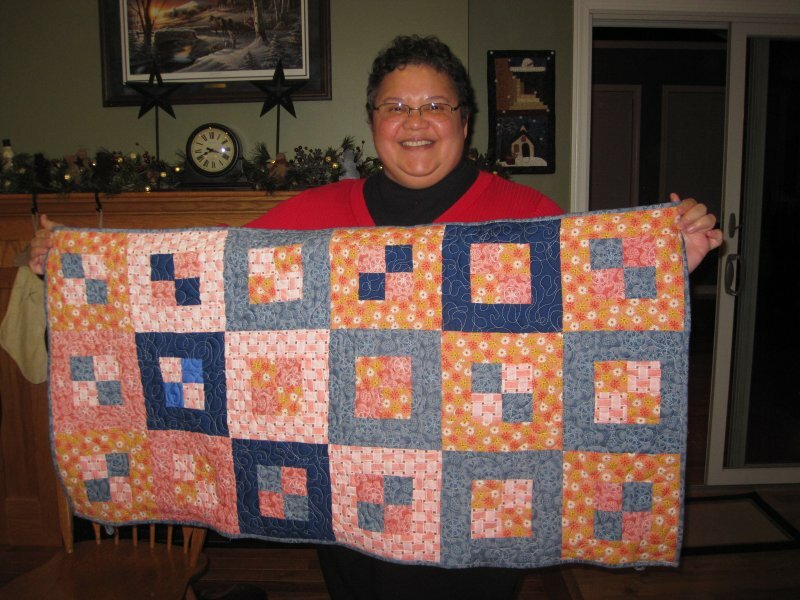 Aleaxandra made this colorful quilted car cover. 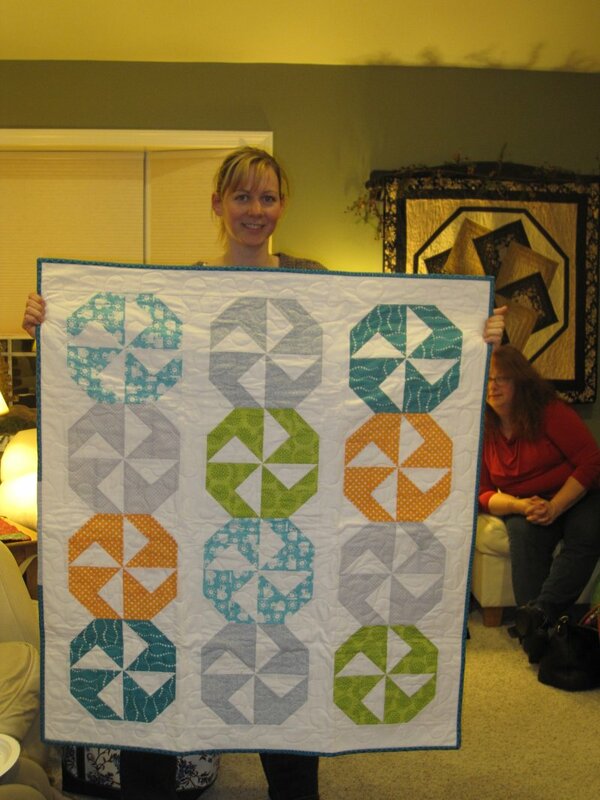 Alexandra also made this fun quilt top using the Circle Tutorial. 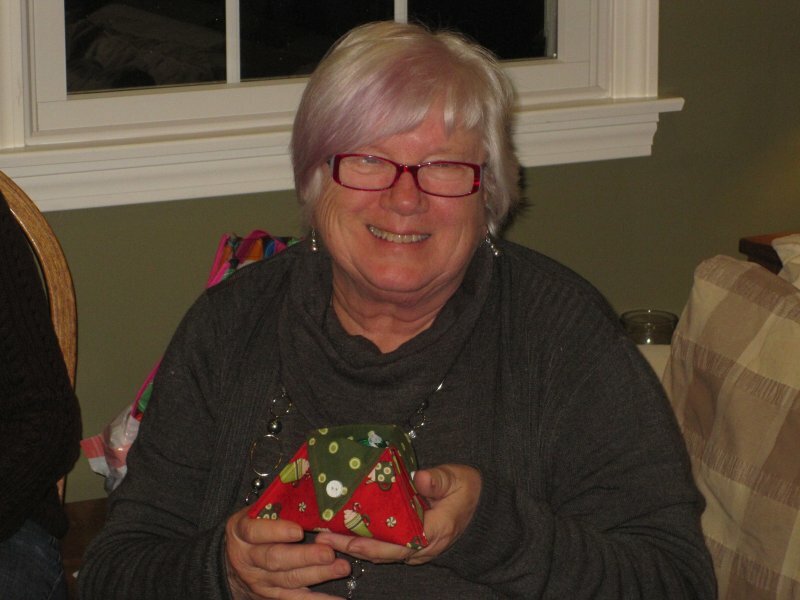 Sandi made this cute equilateral triangle bowl. 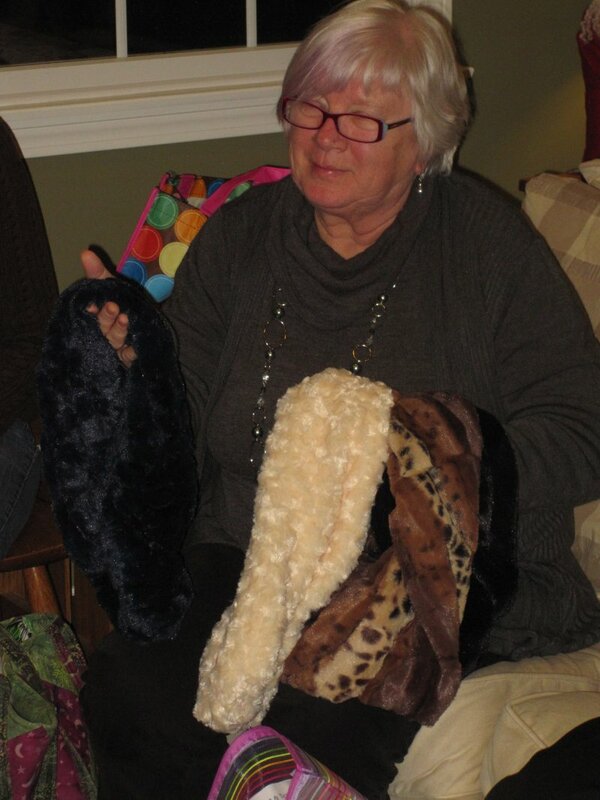 Sandi made a multitude of warm and cuddly minky infinity scarves! 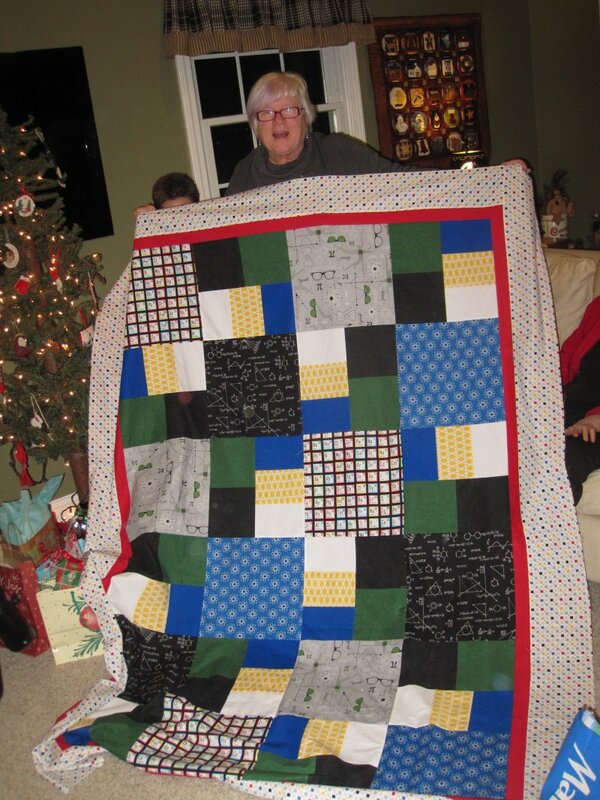 And Sandi made this fun science-centric quilt for her sister-in-law.